There is an inexpensive and easy to use product that could help any restaurant reduce mold on produce. At the same time, this product will stop spreading mold from contaminating other products, reduce the risk of food poisoning, and maintain the reputation of a restaurant. Simply installing FiltaCool in refrigeration units will yield all these benefits. Food mold requires moisture to grow. Some of this moisture comes from the food, but some also comes from the air around it. By removing some of the moisture in the air, FiltaCool extends the life of perishables by up to 50%. This can have a significant impact on food shrinkage in a restaurant. Additionally, FiltaCool helps to control ethylene and pectin gas levels in refrigerators. These gases are know to expedite the ripening process of fruits and vegetables, but they also increase spoilage. 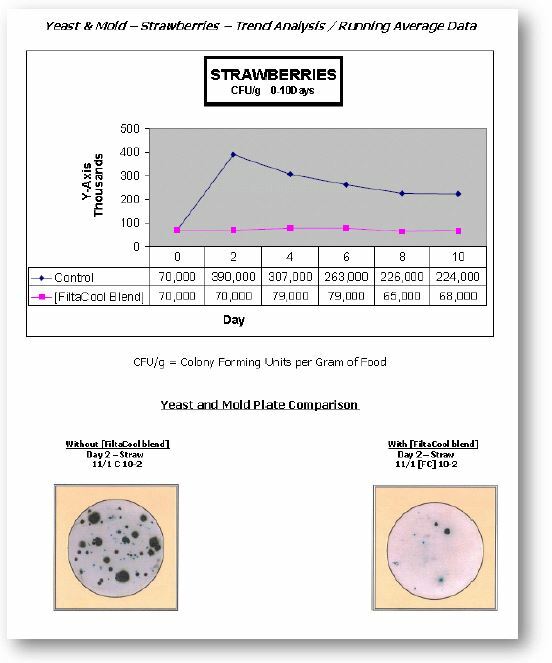 Simply installing FiltaCool in a refrigeration unit can reduce these gases and preserve produce longer. Refrigerators with high humidity are a breading ground for mold and bacteria. This is why restaurants must wipe-down and mop their refrigeration units regularly. While this will still need to be done, less frequent wipe-downs are required when FiltaCool is installed in a refrigeration unit. This helps to reduce the spread of mold and bacteria by reducing the amount of moisture in the air. Additionally, it helps to reduce the time spend on cleaning and maintaining refrigeration units. Best of all, energy bills can be reduced because FiltaCool can drop cooler temperatures by up to 5°F simply by removing the excess moisture in the air. This also extends the life of the refrigeration equipment. Probably the number one reason for using FiltaCool is the reduced risk of food poisoning. “Bacteria will grow any where they have access to nutrients and water”, this includes inside a refrigerator. If the moisture is removed then the bacteria and mold will not grow, odors are eliminated, and food waste declines. This is a great benefit from using FiltaCool. Reducing mold, maintaining food safety, and avoiding spoilage are all important for maintaining the reputation of a restaurant within the community. However, reducing refrigeration maintenance costs, extending the shelf life of perishables, and reducing shrinkage are all part of the reputation a restaurant has with it’s owners. 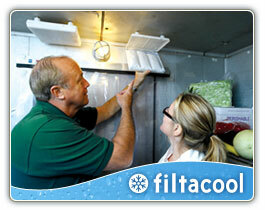 FiltaCool helps restaurants maintain a great relationship with their customers and their investors. Independent test results showing FiltaCool panel effectiveness.